(b. 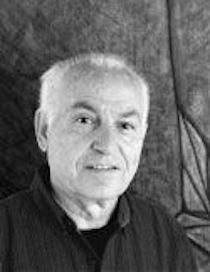 1930) Born in 1930 in Tehran, Melkonian had held solo shows in Tehran, Paris, New York and Los Angeles, and has participated in a great number of group exhibitions of international stature since 1950, including the Venice Biennale, 1958; the Paris Biennale 1959; the Contemporary Iranian Artists Exhibition, New York 1971; the Basel International Art Fair, 1975; the International Exhibition at the Grand Palais, Paris 1976; the Exhibition of Contemporary Artists at the Salon de Montrouge, Paris, 1977; Wash Art 77 (the Washington International Art Fair, 1977) FIAC ’77 International Contemporary Art Exhibition at Grand Palais, Paris, 1977; Group Exhibition (a Collection of Art Works by Canadian Armenian Artists), Montreal & Ottawa, Canada, 1990; Iranian Artists Group Exhibition, Paris, 1990; a group exhibition at the Armenian Community Centre, Willowdale, Ontario, 1995; Contemporary Iranian Artists Exhibition at the Saad Abad Palace, Tehran, 1995. Since 1992 he has lived in Toronto, Canada.